Gainesville is the largest city and county seat of Alachua County. 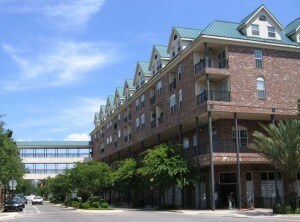 It serves as the cultural, educational and commercial center for the North Central Florida Region. The City provides a full range of municipal services, including police and fire protection; comprehensive land use planning and zoning services; code enforcement and neighborhood improvement; streets and drainage construction and maintenance; traffic engineering services; refuse and recycling services through a franchised operator; recreation and parks; cultural and nature services; and necessary administrative services to support these activities. Additionally, the City owns a regional transit system, a municipal airport, and a 72-par championship golf course. Gainesville is home to Florida’s largest and oldest university, and is one of the state’s centers of education, medicine, cultural events and athletics. The University of Florida and Shands Hospital at UF are the leading employers in Gainesville and provide jobs for many residents of surrounding counties. Known for its preservation of historic buildings and the beauty of its natural surroundings, Gainesville’s numerous parks, museums and lakes provide entertainment to thousands of visitors.